Suspension bridges are one of the oldest engineering structures in the world. Ropes and wood are the main material originally used for the construction of suspension bridges. Today those materials are replaces by cables with high tensile strength. These cables are made using thousands of individual steel wires, becomes very strong under tension. More importantly suspension bridges also solve the problem of long span. Followings are list of 8 longest suspension bridges in the world, in accordance with length of main span of bridges. 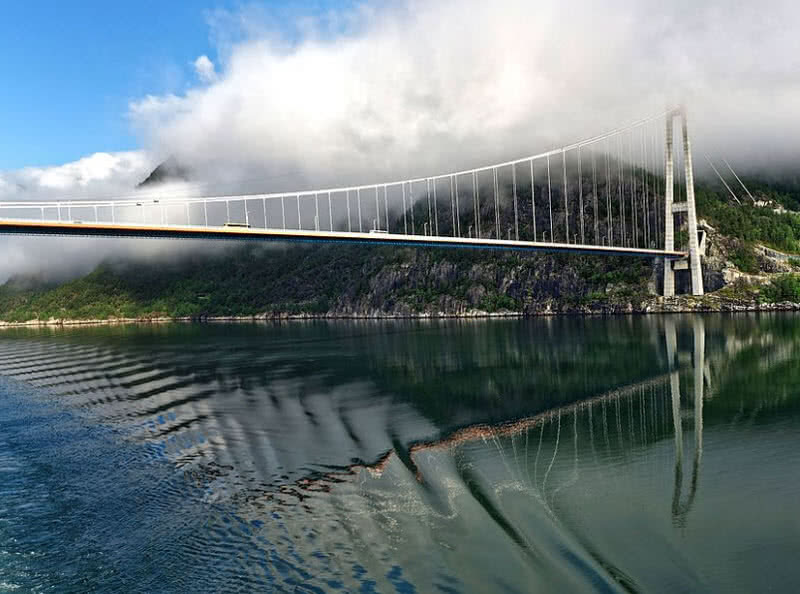 Hardanger bridge is the longest suspension bridge in Norway. It’s main span have length of 1310 meters. This bridge connects Norwegian municipalities of Ullensvang and Ulvik. The total length of Hardager bridge is 1380 meter. The bridge have two driving lines and separate lines for pedestrians and cyclists. Hardanger bridge also the longest tunnel to tunnel suspension bridge around the globe. This bridge connects 1.5 kilometer long Bu tunnel at the South end to 7.5 kilometer long Vallavik tunnel. The construction of Hardanger bridge started in 2009 by Norwegian public roads administration and completed in August 2013. Hardanger bridge opened for public on 17th August 2013 and bridge get a traffic of 2000 vehicles per day. Tsing Ma bridge is the ninth longest span suspension bridge in the world, located in Hing Kong. The main span of this bridge measures 1377 meters in length. It connects Tsing Yi and Ma Wan Island of Hing Kong. The bridge is also named after these two islands. The span of Tsing bridge is larger than that of any other bridges in the world that carrying rail tracks. Tsing Ma bridge contains six lines for automobile traffic and two rail tracks in lower level. There are also sheltered carriage ways at lower deck for the bridge for maintenance access. It took five years for the construction of this double-decked suspension bridge. This bridge was designed by UK based Mott MacDonald engineering group. 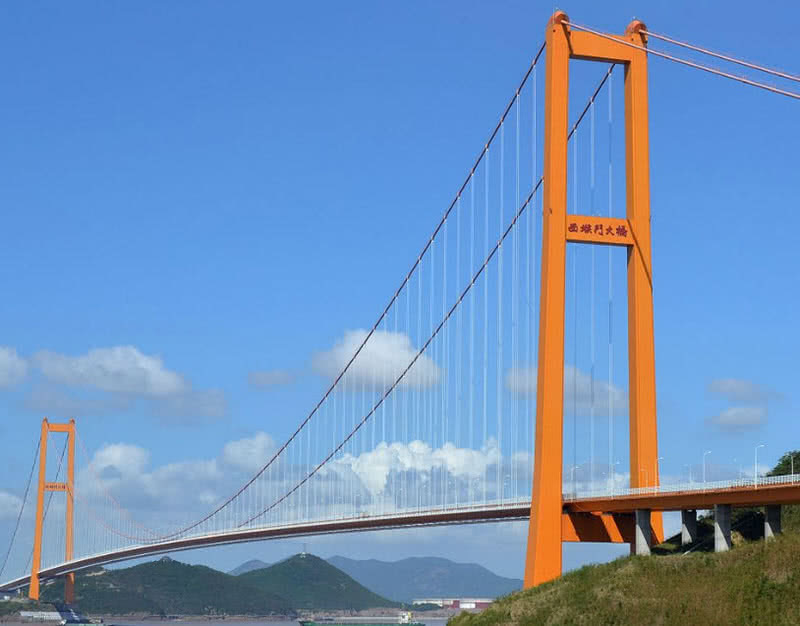 The opening of Tsing Ma bridge took place on 22nd May 1997. There is also a visitor center and viewing platform located at the Tsing Yi Island end of the bridge. It provides outstanding view of this amazing bridge and surrounding places. Jiangyin bridge is located in Jisngsu, Eastern coastal province of China, over Yangtze river. The main span of this suspension bridge have length of 1385 meters and have total length of 3 kilometers. This bridge was opened in the year 1999 and it remained as longest suspension bridge span in China for next 13 years. 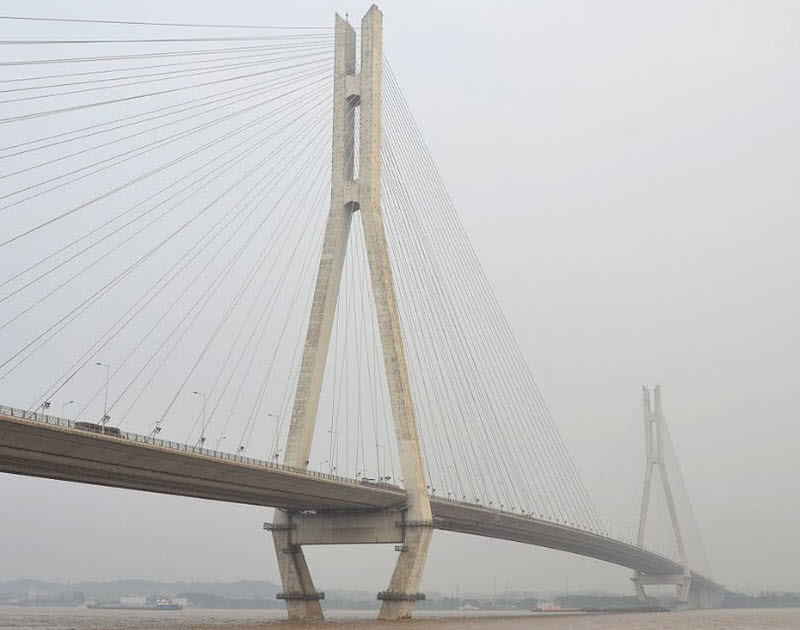 In 2002 Jiangyin bridge also awarded for outstanding achievement in bridge engineering. Jiangyin bridge was built to commemorate 50th anniversary of Chinese revolution. The construction work began in 1994 and completed in 1997. The bridge have a height of 60 storey building and have six traffic lines, three in each direction. 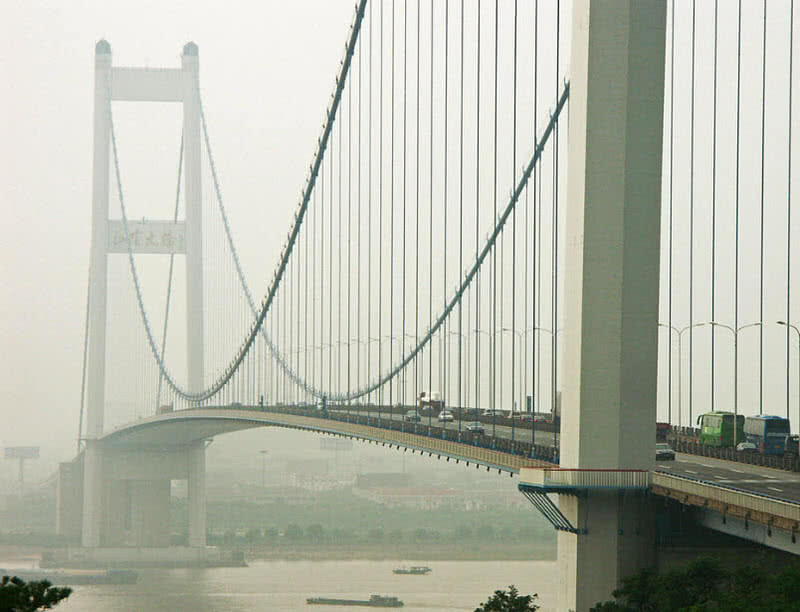 Jiangyin bridge officially opened on 28th of September 1999. 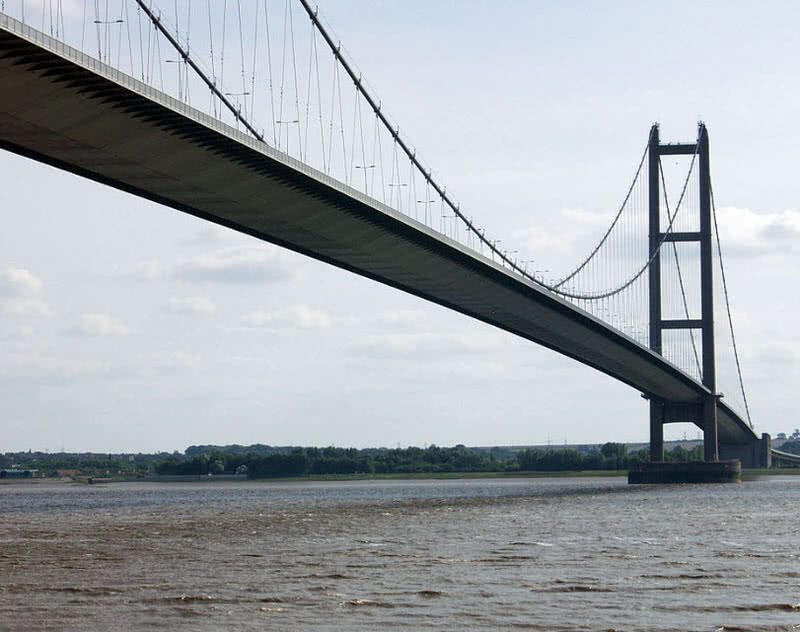 It is a 2220 meter long suspension bridge located in city of Kingston upon Hull of England. It is the longest suspension bridge span in United Kingdom. Hamber bridge was opened in the year 1981 and until 1998 it remained as the longest single span suspension bridge in the world. The longest span of Hamber bridge have length of 1410 meters. This bridge connectd North LinconInshire and local district of East Riding of Yorkshire. This bridge was officially opened for traffic by Queen Elizabeth II 17th July 1981. It can withstand in wind peed up to 80 miles per hour and can tolerate constant motion. The central span of Hamber bridge also allows navigation of ships. This bridge gets traffic of 12000 vehicles per week. It is the third longest suspension bridge span in China. This bridge have longest span of 1418 meters. It is located in Nanjing, within the Jiangsu province of Eastern China over Yangtze river. The bridge connects Hengliang town and section of Raoyue. It costs 6.8 billion Yuan for the construction and opened for traffic on 24th December 2012. The bridge features a dual six line traffic that allows 100 – 125 kilometers per hour speed for the vehicles. Great belt bridge is one of bridges of great belt fixed link system that connects Danish Isands of Zealand and Funen. The bridge system consist of road suspension bridge, a railway tunnel and a box girder bridge. The railway tunnel of great belt bridge connect Zealand with Island Sprogo. Great belt bridge situated in the Eastern side of the bridge system. The longest span of great belt bridge is 1624 meters and It is the third longest main span in the world. It connects small Sprogo Island with Zealand. The construction of the bridge began in the year 1989 and opened for public in 1998. 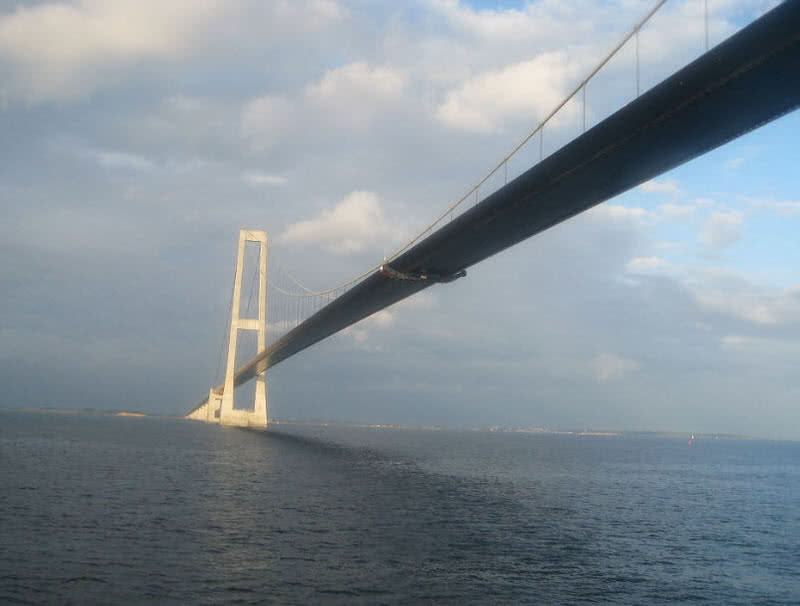 Great belt bridge have height of 254 meter above water, the highest point in Denmark. The West bridge at great belt link is box girder bridge, actually two separate adjacent bridges, one carries rail traffic and other carries road traffic. Xihoumen bridge is the longest main span in China and second longest suspension bridge in the world located in Zhoushan archipelago. The length of center span of this bridge is 1650 meters. The 5.3 kilometer long Xihoumen bridge connect Jintang Island with Cezi Islands. The construction of Xihoumen bridge started in the year 2005 and completed in 2007. It was opened for public traffic on 25th December 2009. The bridge consist of 2.7 kilometer long side joint sections and main bridge have length of 2.6 kilometers. Xihoumen bridge features four line express highway that allows vehicle speed up to 80 kilometers per hour. Akashi Kaikayo Bridge is the longest suspension bridge span in the world. The main span of this bridge have length of 1991 meters. The bridge link the Kobe city to Awaji Island, in Japan. The bridge have three span, the central span measures 1991 meters in length and other two have length of 960 meters. The two hinged stiffening girder system help the bridge to withstand with wind speed up to 178 miles per hour and Earthquake measures up to 8.5 in magnitude. 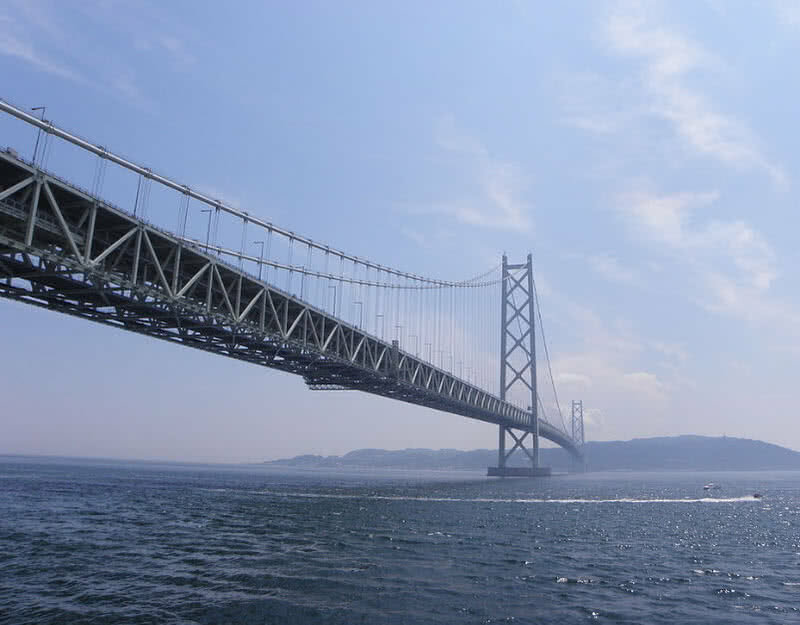 The construction of Akashi Kaikyo bridge started in the year 1988 and took 10 years for the completion. 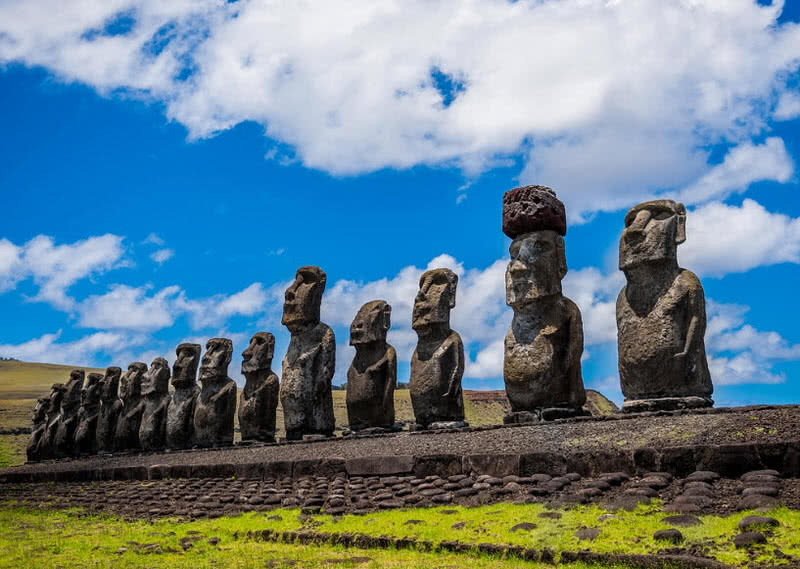 It is estimated that 181000 tons of steel used for it’s construction. The bridge was opened on 5th April 1998 and features six line traffic. The main cables of the bridge also consist of discharge tubes of different colors, illuminated during important occasions such as national day, memorial day or other festivities.